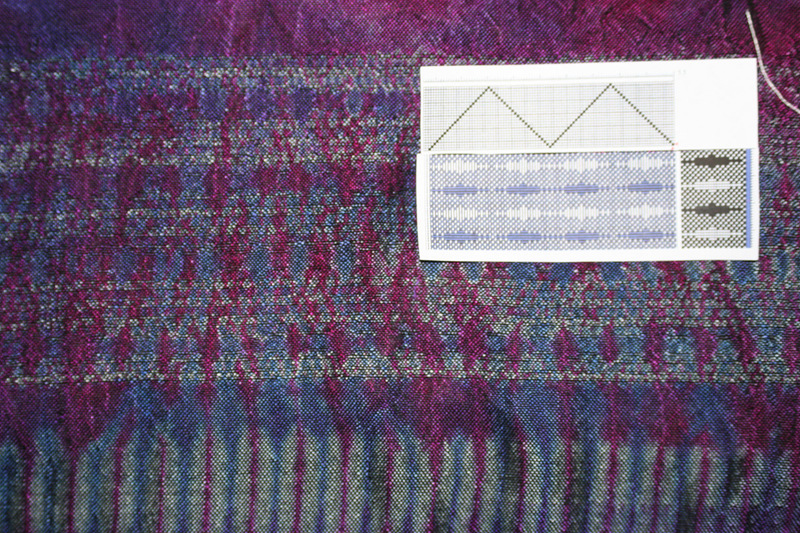 You are here: Home / All blog posts / Woven shibori wowza! 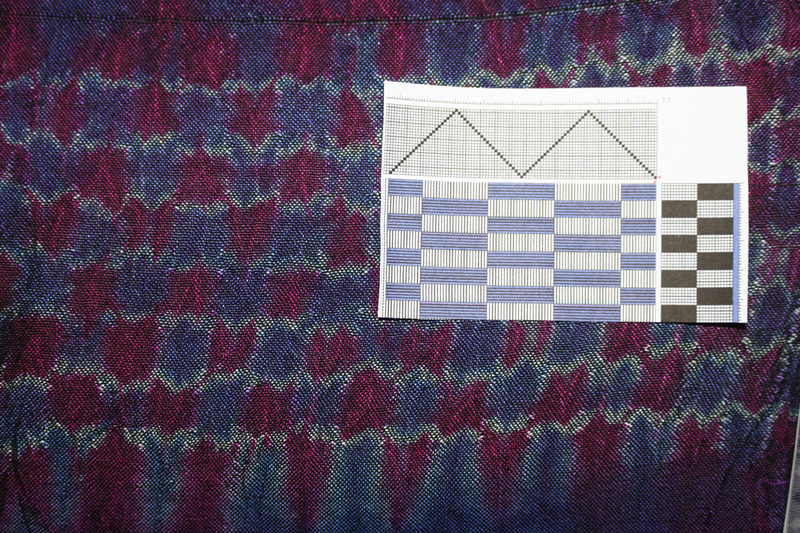 Anyway, how woven shibori works is starting to get clearer, but I need to sit down and really think about these samples (especially the failed attempts at diamonds) before I can “get” it. 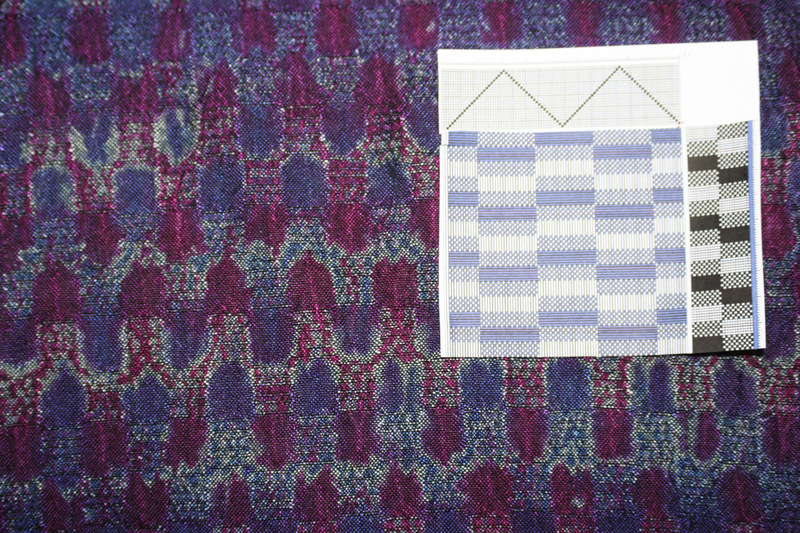 Next I will try combining shibori patterns with patterns woven into the cloth.Â This becomes complex very rapidly, so I will try to keep things simple – perhaps just a single diamond woven in the center of a square motif. 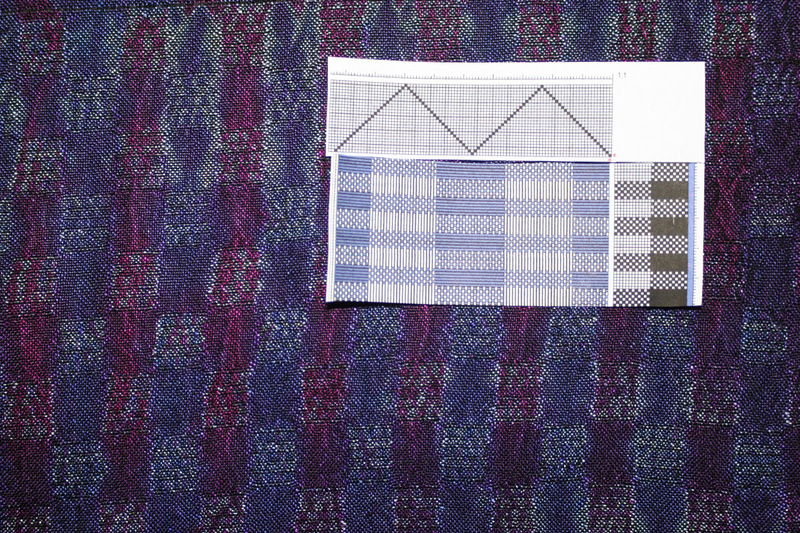 And maybe, after sampling, I’ll go back to plainweave.Â This last set of samples is plainweave, and would probably look way too “busy” in any other structure. 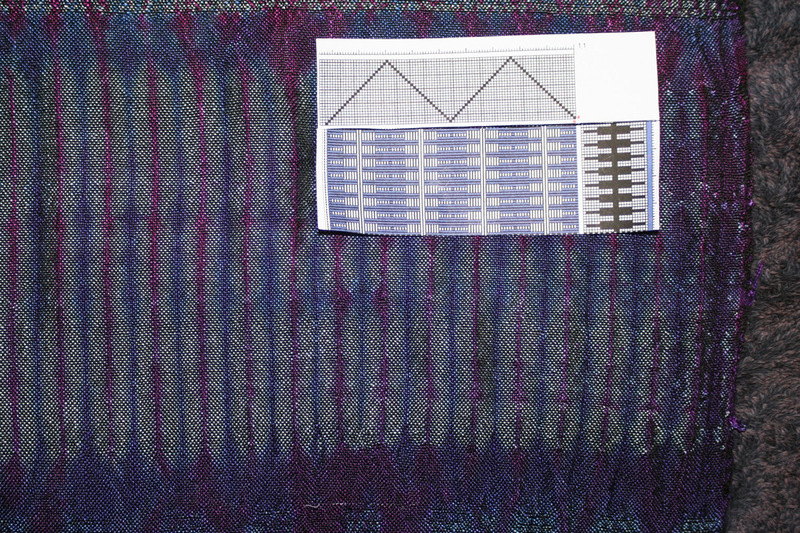 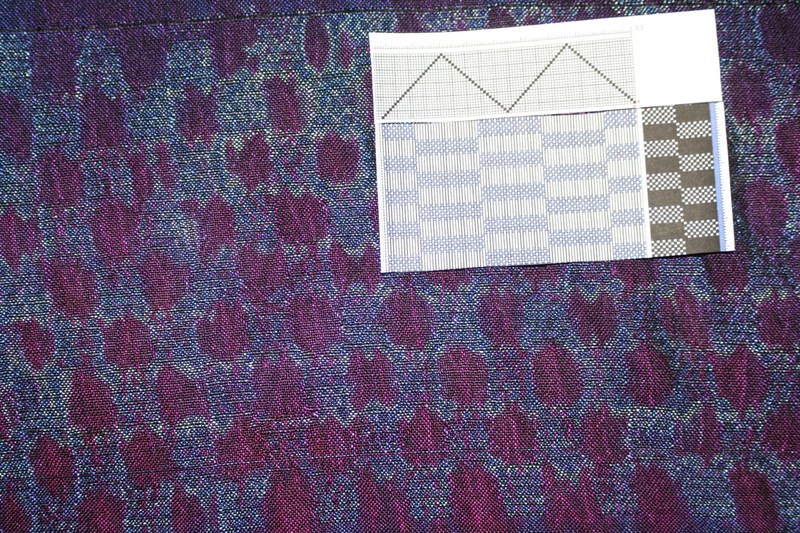 Tomorrow’s my weaving study group – can’t wait to share these samples with the other study group members!